Search ToolBar - Shareware software download for web searches, email, mp3 player, pop up killer. "All the features you wanted in Internet Explorer but Microsoft forgot to include." 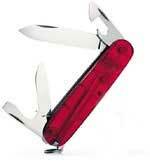 It's like a Swiss Army knife for your web browser! Instantly Annihilate Nearly ALL Unwanted Popup Ads! Scour the Net for Virtually ANYTHING with built-in searching for 50+ Search Engines. Automatically Fill in Those Time Consuming Internet Forms with the Click of a Mouse. Get 100's of News Topics on Everything from Entertainment Gossip to Big Business. Checks Your Email Every Few Minutes. Come Up with That Right Word to Help You Solve a Mind Boggling Crossword Puzzle. Search through your Internet Favorites for that Lost Bookmark. FREE Online Support! Money Back Guarantee! TRY IT NOW - FREE!